Located in off Highway 290 in Dripping Springs, Hidden Springs Ranch is a secluded residential community, with lot sizes ranging from 1 to 2+ acres so residents can enjoy a degree of privacy, with mature trees and gorgeous views. The houses have generous, open floor plans starting at 2,400 square feet with numerous interior upgrades such as granite countertops, stainless steel appliances, and high ceilings All areas of the development are designed with attention to detail, from the entrance to the street signs, ball fields and park, to the homeowners' association. The open spaces, ball fields, walking paths and pavilion are all planned with families in mind. 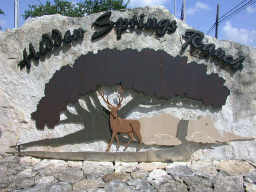 Hidden Springs Ranch blends the sophistication of city amenities with the congeniality of a small community. Students who live in this community attend high sought after Dripping Springs ISD schools.